The LEGO brand is 80+ years old and after a bazillion toys, a bunch of video games, several spin-offs (yeah I’m looking at you Duplo), they finally get their first full length theater movie! And they got Phil Lord and Christopher Miller, the two guys who wrote and directed Cloudy with a Chance of Meatballs. The LEGO Movie also has the pick of any character from the LEGO universe, which is pretty much everything, from ninja turtles, to Ninjago, to pirates, to star wars to lord of the rings to, just recently, the Simpsons. Then they got Will Ferrell and Morgan Freeman voicing the characters. So it’s just a matter of everything being thrown together, then sitting back and watching an awesome movie right? Right? LEGO has been a big part of my life. As a kid, I had the LEGO city series of toys, the Police van, the fire truck, the giant snoopy figure, and an assortment of other blocks. Growing up, I played the LEGO video games, Lord of the Rings, Pirates of the Carribean, Harry Potter, Indiana Jones and more. I couldn’t be more excited when I heard that a movie was finally coming. So what did I think? 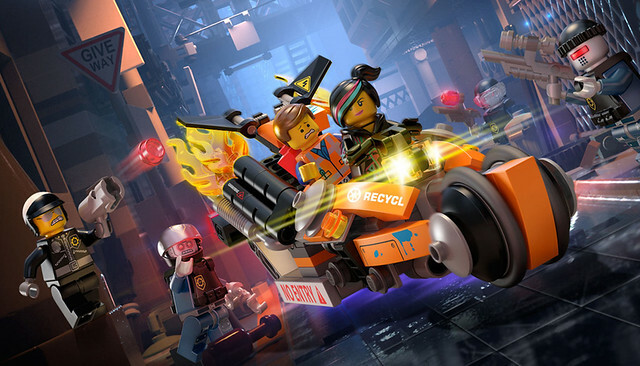 The LEGO movie stars Emmet Brickowski, a regular LEGO figure who is content with living his everyday life doing what he normally does as a routine. He is also trying his best to fit it with society. Everything changes when he stumbles upon a certain artifact which is prophesied to be retrieved by “the special” who has the power to change the world. They are going up against the evil Lord Business, who has his own hidden agenda. Along the way, he’s helped by several friends like Wyldstyle, and Batman. Emmet is the star of the show, he’s voiced by Parks and Recreation cast, Chris Pratt. He plays his perky and naïve character well. Morgan Freeman voices Vitruvius, who is the seer that made the prophecy. Elizabeth Banks voices Emmet’s sidekick, Wyldstyle. My favorite has to be the villain cop voiced by Liam Neeson. Other voices include Will Arnett as the Batman, Nick Offerman as Metal Beard, Alison Brie as the the Unikitty and Charlie Day as Benny, the 1980-something Spaceman. All of the characters are the fun and light hearted version of themselves, especially Batman who cracks puns every other minute. The story takes us to a bazillion different scenes (worlds). From the opening scene of underground cave world, to the city builder world, to the abyss world, then a rainbow world, then a cloud world, then a pirate world, then a dark world, then a broken city world. Just when you’re about to understand and take in what’s going on, they shift the story to the next scene. The world of LEGO is colorful and vibrant. The animation is nice. Not smooth 60 frames per second smooth, but stop motion type nice. I found myself needing to take off the 3D glasses for majority of the movie since the glasses only dulled out the colors. There’s nothing special with the 3D also. Watching this movie in regular 2D is fine. I tried so hard to enjoy the movie. I wanted so bad to enjoy the movie since it’s LEGO. But didn’t. The LEGO movie had so much set pieces to work with and that might be it’s downfall. It felt like it was made for a little kid who has an attention span of 2 minutes. The plot is straightforward but it was put together so poorly. The characters try too hard to entertain and they end up confusing the audience since they all have their own different type of charm. You’re starting to like one character, then they shift the focus to the next before you actually do. 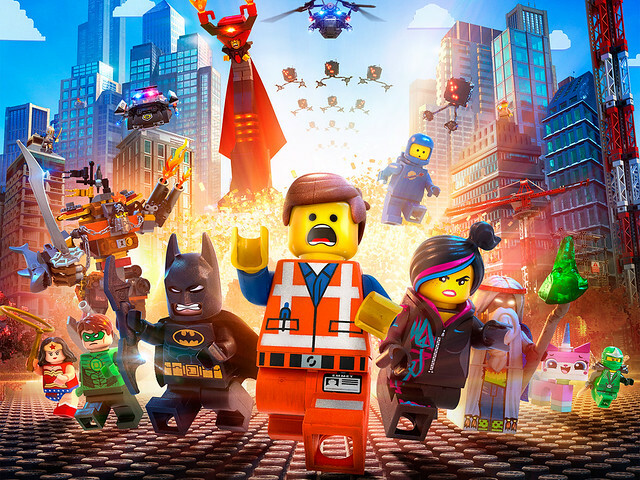 If there was one bright side to the LEGO movie, it’s that the soundtrack is awesome. The LEGO movie is something you put on the TV while doing something else and can shift a glance every now and then. Score: 2 out of 5 (waste of my time).